Dancing on Ice 2013 Tour Cancelled -- Fans Furious! Dancing on Ice 2013 Tour Cancelled — Fans Furious! ITV announced that the Dancing on Ice 2013 tour has been cancelled. Fans are furious and the celebrities aren’t happy about it either. One of the main reasons celebrities participate, beyond the fun they have doing it, is to get as much publicity as they can. The Dancing on Ice 2013 tour gets a big part of that publicity for them. Now that it’s been scrapped, they won’t get half the publicity they would have. Fans are upset because they look forward to it for months before the actual event. Their disappointment is justified. Fans of Dancing On Ice were disappointed when they tried to book tickets to this year’s live tour only to find that it had been cancelled! The show has of course featured a live tour – after each series ended on TV – for the last seven years, and has been a “money spinner” for not only the celebrity contestants, but also the show’s pro-skating stars. A show source said, “This is a real blow to the celebrities. 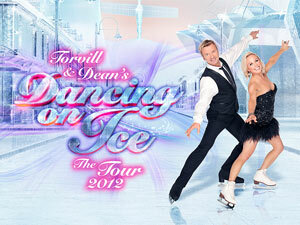 Most fans are furious that the Dancing on Ice 2013 tour has been cancelled, but what are your thoughts? Furious? Relieved? Don’t care? Let us know below!